“I need you clothes, your boots, and your MOTAHCYCLE. . . ” says Arnold. 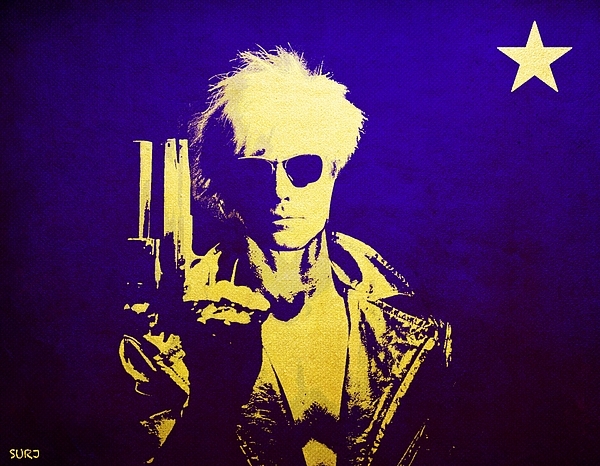 . . ehem, I mean Andy Warhol. The Terminator meets the King of Pop Art. Yves Klein blue with Gold stencil art.